Here is the problem. 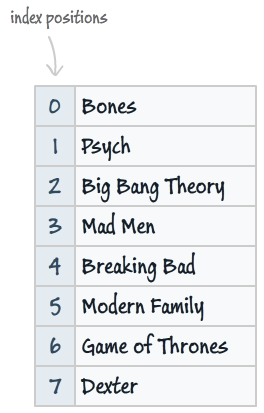 With so many great shows, how do you know what you want to watch at any given time? Unfortunately, you are unable to pick a show and stick with it beyond the first few seconds of the opening credits. Your friends all give different answers. Your parents haven't even heard of these shows, so they can't help you out much. Your psychiatrist stopped returning your calls. You are stuck. Replace myArray with the name of the variable that actually stores your array. That's it. Let's look at an example that fully demonstrates this. 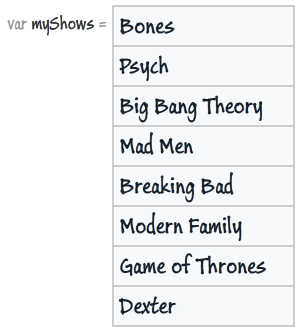 If you run this code, your show variable will store the name of a randomly picked show from your myShows array. The technique behind making our one line of code work requires only a slight understanding of arrays and how to work with random numbers. All you need is a high number and a low number to define the range of numbers you want. This code will randomly (and fairly!) pick a random number between your range. The details of this are outlined in my Random Numbers tutorial. Replace myArray with myShows to get the exact syntax you saw a few hundred pixels earlier. I guess that is what I am going to do for the next few hours. See you all later!